Their life hasn't been an easy one; they've paid heavily for poaching abuses or the destruction of their habitats. But today, thanks to the joint efforts of specialists, concerned organizations and members of the public, their populations are recovering. 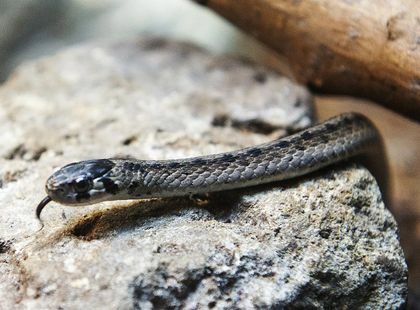 Here are a few species whose difficult journey is slowly turning into a success story. 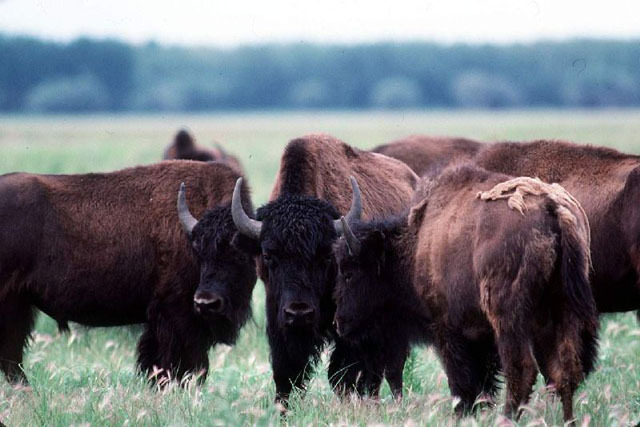 The conquest of the West dealt a virtual deathblow to the imposing Wood Buffalo: close to 168,000 of them roamed the Canadian West in the early 1800s. A century later fewer than 300 were left thanks to the intensive hunting, disease and habitat destruction brought about, mainly, by forestry, farming and petroleum development. Fortunately, the creation of protected areas, such as Canada Wood Buffalo National Park (the largest in the country with its 44,807 km2) between Alberta and the Northwest Territories and the strict management of populations increased the number of individuals to some 11,000 in 2008. The world's fastest animal was headed straight for extinction in the 1970s. The massive use of pesticides such as DDT and certain industrial pollutants short-circuited the bird's reproductive cycle: sterility, thinner eggshells, embryonic death. Canada took action: in the early seventies, the use of DDT was banned in North America. 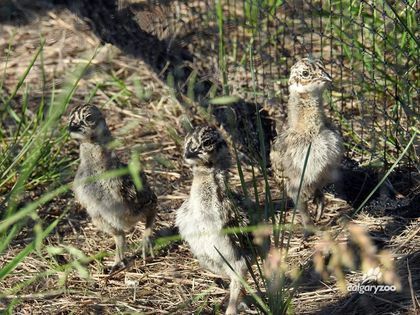 Thanks to a Canadian plan for recovery, no fewer than 1,500 birds born in captivity were released into the wild; in the years between 1976 and 1994, this number included close to 250 in Quebec alone. Today, some thirty couples are successfully nesting in this province, and the Peregrine Falcon's status has gone from threatened to vulnerable. These graceful waterfowl came close to extinction in 1941, when only 22 were left in the wild. At that time, farming activities were transforming the landscape of the Canadian prairies, with 80% of the territory in Saskatchewan given over to agriculture. 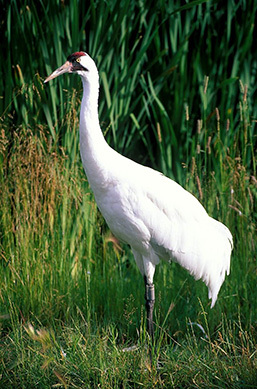 The disruption had a disastrous effect on Whooping Cranes, who found themselves literally expelled from their nesting area. 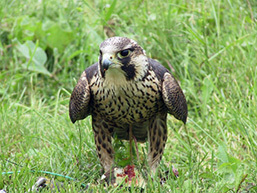 In 1966, a captive-breeding recovery program was implemented by the Canadian Wildlife Service in collaboration with the United States Fish and Wildlife Service. Today, over 350 Whooping Cranes live in the wild, with most concentrated in Canada Wood Buffalo National Park. These are encouraging results for this spectacular wading bird. This is among the five mammal species found only in Canada and nowhere else in the world. 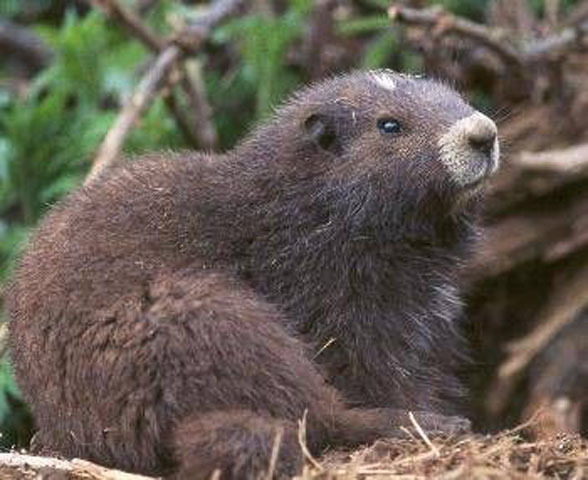 Between 1980 and 2000, the population of Vancouver Island Marmots dropped by almost 87%, mainly due to forestry operations on the island. A recovery team was created in 1988 to implement a plan to assure the long-term survival of this appealing rodent. In 2000, 36 marmots were counted. At present, 150 to 200 wild individuals roam Vancouver Island. 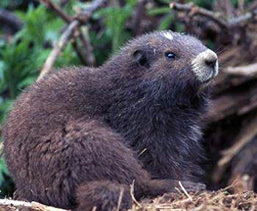 The Calgary and Toronto zoos, partners in a concerted effort, share the breeding of small colonies in captivity; in 2008, 59 marmots joined the ranks of survivors in the wild. With its adorable bandit mask, this little mammal was on its way to being no more than an image in a picture book. 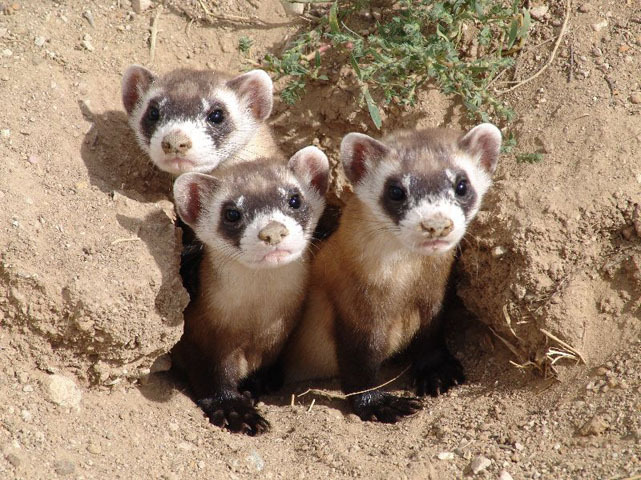 It was believed to be extinct in 1937, when an unusual incident brought it back into the news: in 1981, a farm dog in Montana came home one evening with a Black-footed Ferret in its mouth, leading to the discovery of a small colony of almost 120 survivors! Considerable efforts were then made to protect the species, chiefly by means of captive breeding and reintroduction programs. On October 2nd 2009, Canada has accomplished a first reintroduction in the Grasslands National Park (Saskatchewan) of individuals raised in captivity at the Toronto Zoo. The current population of Black-footed Ferrets is estimated at close to 1000 individuals (2009). About the size of the domestic cat, this little representative of the canidae family hasn't had an easy go of it! Suffering from the modification of the great Canadian prairies in the early twentieth century, it has been the hapless victim of poaching activities and the poisoning campaigns waged against the Wolf and Coyote. 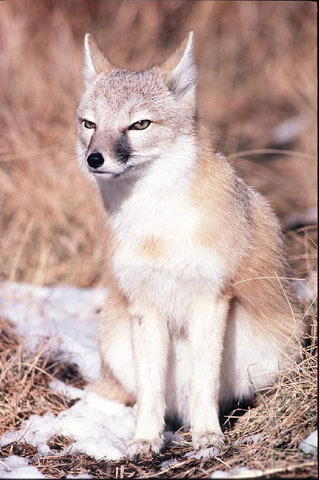 In the late 1930s, the Swift Fox disappeared from our wilderness. Beginning in 1983, reintroduction programs have aimed to restore a viable Swift Fox population in the Western provinces. Individuals born in captivity and "immigrants" from the United States were released into the Canadian wild. In 2006, the population was estimated at about 1,200 individuals, including close to 700 in Canada alone. The Copper Redhorse is a fish found only in Quebec: no specimen has ever been seen elsewhere in the world. The future looked dark for this inhabitant of our rivers owing to the degradation and contamination of its environment. In spring 1999, the Copper Redhorse became the first wildlife species to receive legal protection in Quebec. In 2002, a wildlife refuge was created on the Chambly rapids on the Richelieu River, and a fish-pass was constructed on the Saint-Ours canal to offer access to spawning grounds. The population consists of a few thousand individuals, but its concentration in a single area makes it vulnerable. The collaboration of the public is requested to protect this unique species, mainly by avoiding swimming in the area of the wildlife refuge. A body covered with scales, a cold stare and an ugly snout: people have long preferred the American Alligator as a handbag rather than in the flesh. The big reptile has been hunted to the extent it was feared the population would never recover! 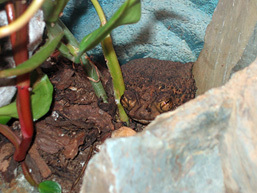 In 1967, the species was designated endangered of extinction. 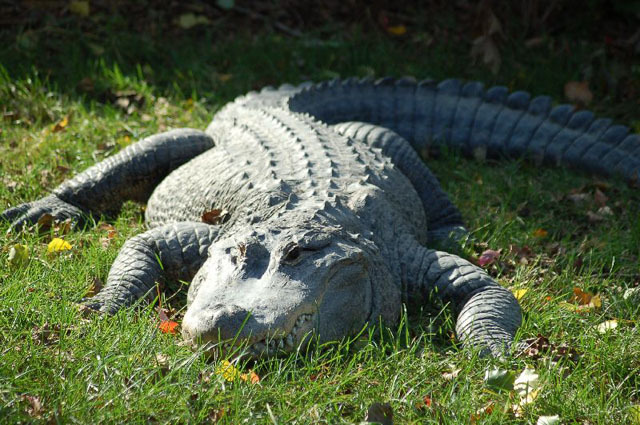 Stringent legislation, monitoring of the population and efficient captive breeding farms brought the alligator back in force: in 1987, the species had completely recovered, and today millions of these reptiles can be found in the southeastern United States! 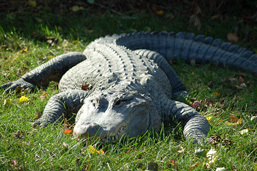 Their hunting and trade continue to be regulated, essentially because of the American Alligator's resemblance to other crocodile species that remain endangered of extinction. The Mongolian steppes came close to losing the sound of these proud horses' pounding hooves: in 1969, the species had officially disappeared from the wild. Exterminated, among other reasons, because of the competition with domestic cattle for grazing land, the last wild horses could only be admired in zoos. In 1992, 16 individuals were released from captive reproduction programs into the wild. 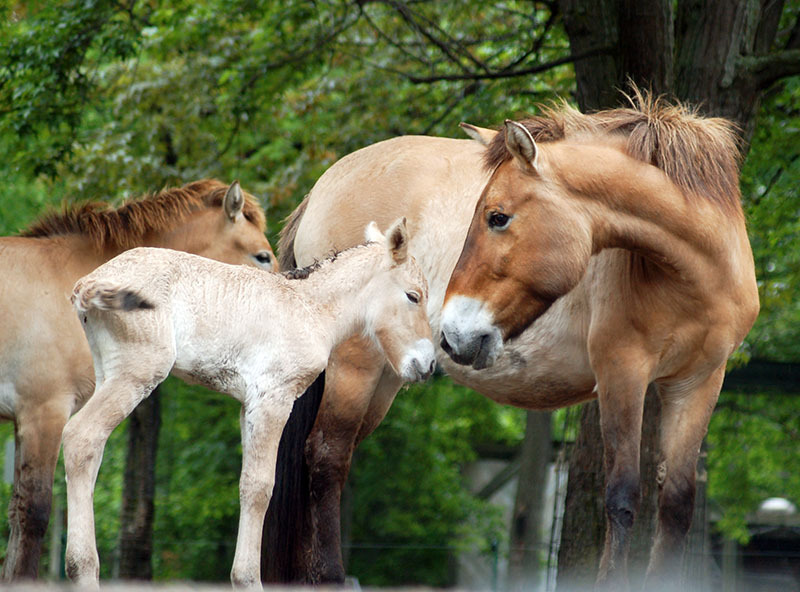 The horses reproduced so successfully in their new environment that their status went from "disappeared in the wild" to "critically endangered of extinction" in 2005. Some 325 Przewalski's Wild Horses have today regained possession of Mongolia and northern China, their ancestral lands. The fate of this bird has long been as fragile as a feather in the wind. 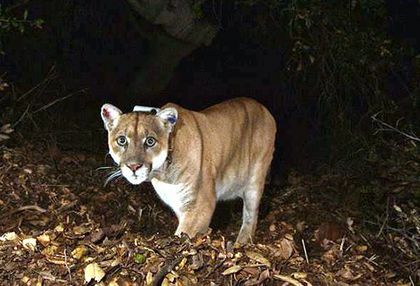 Hunting, egg-collecting and lead poisoning (when it feeds on the carcasses of animals felled by hunters) brought the lord of the heights to the edge of extinction. In 1981, only 22 birds were left in the wild. 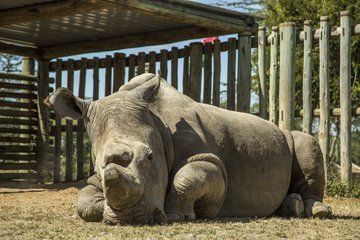 In 1987, it was decided to risk capturing the last wild representative of the species and placing it in the captive reproduction program of the San Diego and Los Angeles zoos. Thanks to patient, unremitting effort, the situation was reversed and the number of condors increased. 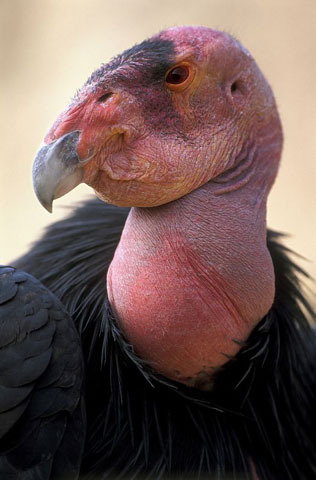 In 1992, the first individuals raised in captivity were released into the wild, and by 2008, the population of wild California Condors had risen to 158. 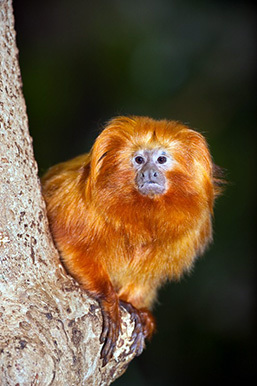 In the opinion of many, the Golden Lion Tamarin is one of the world's most beautiful primates. 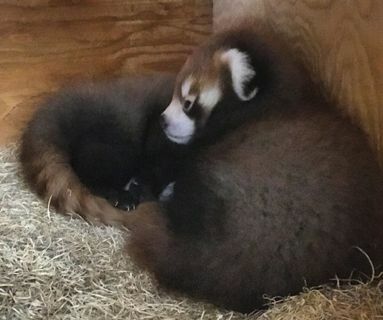 Hardly surprising, then, that numerous individuals have been captured from the state of Rio de Janeiro for sale in the pet trade. But the most tangible threat to the little monkey is, beyond a doubt, deforestation and the transformation of the tropical forest. 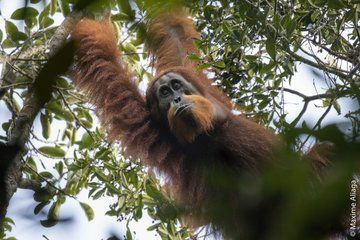 What's more, the some 1,500 individuals that make up the current population live in 17 separate forests! Fortunately, there is every indication that Golden Lion Tamarin populations are on the road to recovery owing, chiefly, to the reproductive efforts of some 150 accredited institutions including the Montreal Biodôme and the Granby Zoo. Small and fragile, the Puerto Rican Crested Toad is at the heart of conservation efforts in 20 zoos and aquariums in North America. To date, close to 119,000 tadpoles have been introduced into the wild over a period of 20 years, giving a boost to declining populations. The worst had been feared for this amphibian owing to the arrival on the island of opportunistic predators like the rat and the Mongoose and the destruction of the toad's egg-laying sites. Recent studies have demonstrated that some adults have returned to the sites where they were released to lay their eggs. This is an encouraging note indeed for institutions like the Toronto Zoo who fight for the survival of this species.